Shipped +4°C Ice Packs, Store at Store at 4°C for up to 1 year. 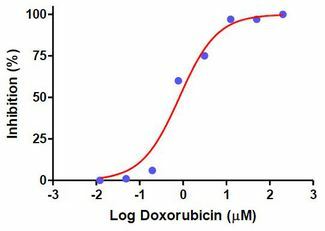 Dose-response curve of MCF-7 cells to Doxorubicin for 72 hours determined by the ACP Cytotoxicity Assay. 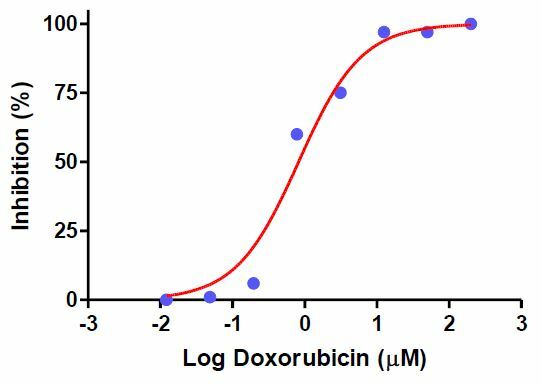 Assays were performed according to the kit protocol in triplicate. The determined IC50 is 0.82 µM.